How time flies! Abner Jairo Ortiz García, our second Mexican International Scholar, has now to come to the end of his time in London with CMF. 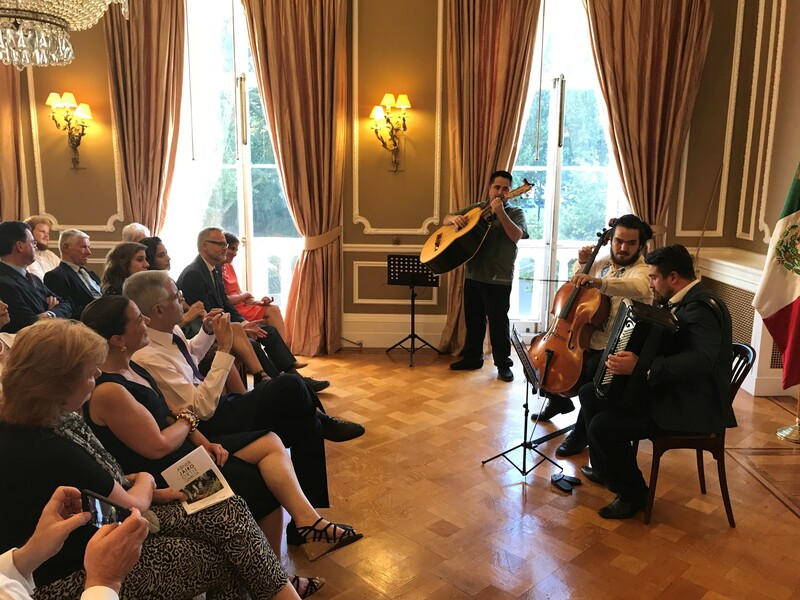 To mark the end of his stay we organised for Jairo to give a recital at the Residence of the Mexican Ambassador, which provided the perfect opportunity to reflect on everything that he’s learned and achieved during his time with us. 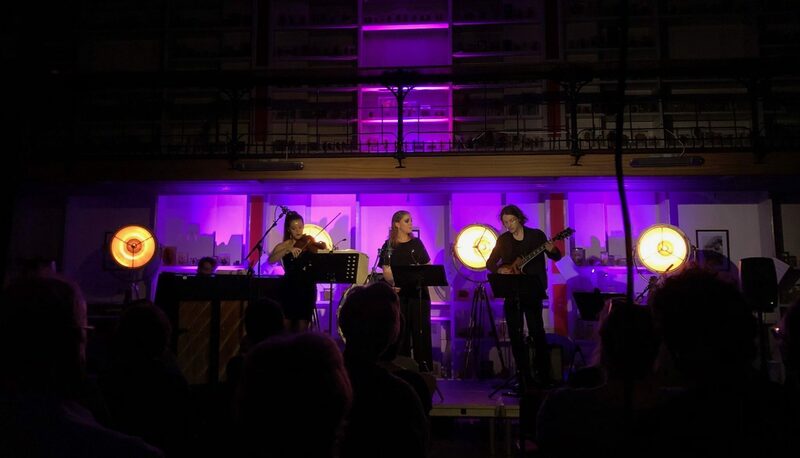 CMF recognises the importance of international experience in the development of young artists’ careers and are proud of the status of London in the musical world. This programme, sponsored by Anglo Arts (part of The Anglo Mexican Foundation), gives CMF the chance to extend these opportunities and networks to a musician from outside Europe. 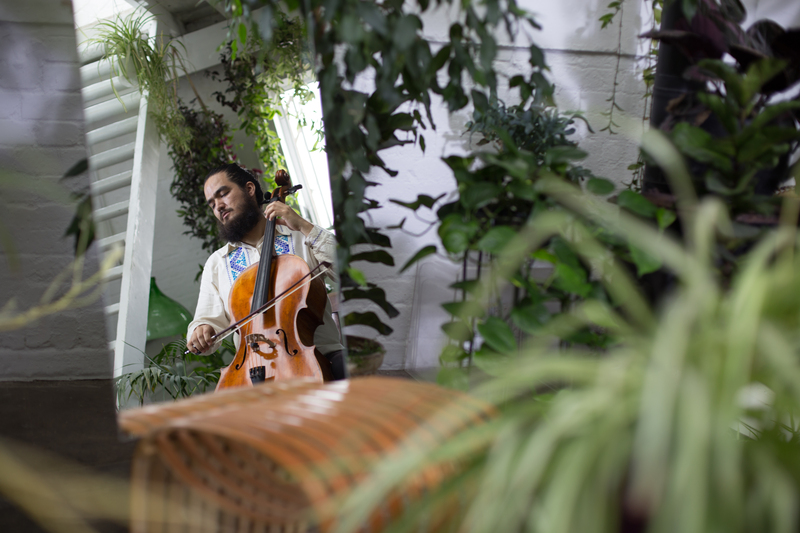 For the last six weeks Jairo has been enjoying a condensed version our innovative CMF Artist Programme, a packed schedule of performances, mentoring, and creating professional promotional materials. During his stay Jairo gave four public recitals. The first, his London debut, formed part of our Day of Music at St Bart’s Hospital; next Jairo performed at the V&A in connection with the Frida Kahlo exhibition (an event sponsored by Anglo Arts); he gave one of five lunchtime concerts in our annual Summer Residency at The Wallace Collection; and shortly before leaving, Jairo gave a recital at All Saints Tooting, the church he’d been using for practice throughout his stay. 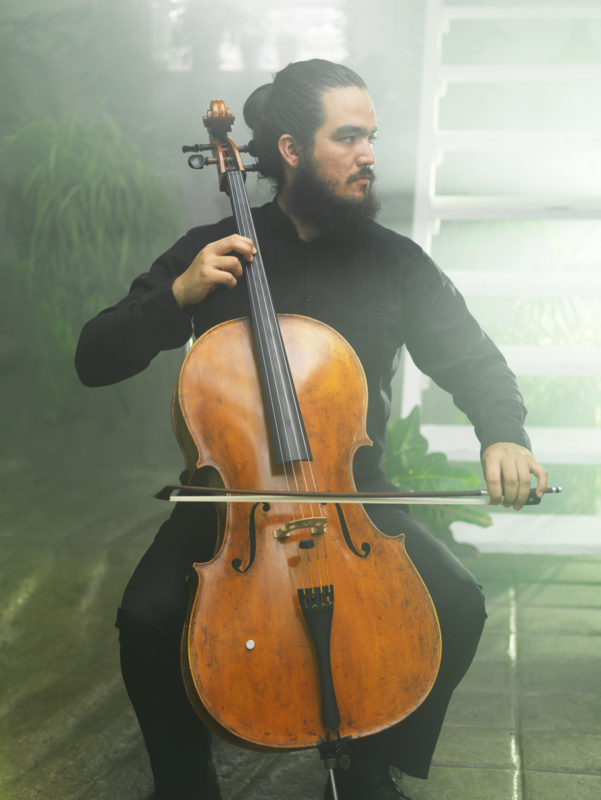 As well as performances Jairo took part in professional development workshops, met with a host of artistic and business mentors, saw world-class artists perform in some of London’s top venues, received lessons from renowned Swedish cellist Mats Lidström, had a photo/video shoot, and his brand new website and EP are currently in production. Jairo also traveled to Paris to take part in a side-by-side workshop with leading period-instrument ensemble Les Siècles (conducted by François-Xavier Roth). Back at the Residence of the Mexican Ambassador… after introductions from the Ambassador himself, Julián Ventura (left) and CMF founder, Sir Roger Gifford (right), guests were treated to an exclusive preview of Jairo’s new videos. These videos are perhaps the most significant or certainly the most lasting part of Jairo’s CMF experience. Filmed and produced by Ian Dingle (DH&Co), they will be an invaluable marketing tool for Jairo in the years to come. These two videos will be released on Tuesday 21st August at midday. After the videos were shown, Jairo gave a recital with accordionist Bartosz Glowacki (2016 CMF Artist). His programme was both a tribute to the UK – with music by Purcell, Elgar, and Bridge – as well as a celebration of South American music by Eugenio Toussaint and Astor Piazzolla. For the last piece, a traditional Mexican song, the pair were joined by Israel Moreno, a guitarrón player! We’re very sad to see Jairo to go. His ability to leave a lasting impression on everyone he meets, not least his audiences, is a quality which will sustain him through his career. On leaving us, Jairo has traveled to Poland to give two recitals in Warsaw before returning to France to rejoin Les Siècles (conducted by François-Xavier Roth) for a performance of Berlioz’s Requiem. From September 2018 Jairo will begin the second year of his Master’s programme at Dusquesne University, Pittsburgh. Armed with these new experiences and tools, we’ve no doubt that Jairo’s career will flourish in the years to come!